LG today announced the X charge, a smartphone that puts a priority on battery life. Similar to last year's X power, the X charge has an enormous battery with a capacity of 4,500mAh. LG claims the battery can push the phone through an "entire weekend" on a single charge. The power cell is embedded within the phone, but it supports rapid charging. Other features include a 5.5-inch 720 display, 1.5 GHz octa-core processor, 2 GB of RAM, and 16 GB of storage. The main camera has a 13-megapixel sensor and the wide-angle selfie camera has a 5-megapixel sensor and LED flash. LG says the X charge also includes Bluetooth 4.2, WiFi, and LTE 4G. The phone runs Android 7 Nougat with LG's software features, such as Gesture Shot. The LG X charge reaches Xfinity Mobile stores on June 30. The phone costs $180, or $7.50 per month. Xfinity Mobile is owned and operated by Comcast and runs on Verizon's network. Amazon today announced that it will soon offer a slew of LG Android smartphones through its Amazon Prime Exclusives program. 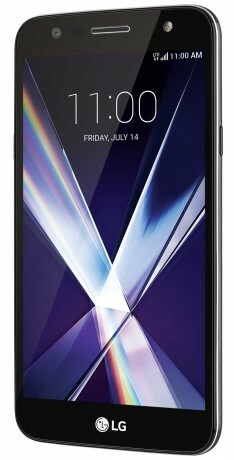 Among them is the LG Q6 (pictured), marking the first time this particular phone is being made available to U.S.
LG today said the X power2 is now available in North America and other markets. The X power2 features an embedded 4,500mAh battery that LG says delivers 15 hours of video playback, 14 hours of real-time navigation, or 18 hours of web surfing. LG today announced the X power2, a follow up to last year's bountiful, battery-boasting handset. The X power2 features an embedded 4,500mAh battery that LG says delivers 15 hours of video playback, 14 hours of real-time navigations, or 18 hours of web surfing.